In the end, it was bound to be disappointing. There were two ways the Survivor: Redemption Island finale could have gone last night: It could have been just and unexciting, or it could have been exciting and unjust. Boston Rob Mariano finally broke through, claiming the $1 million prize in his fourth attempt on Survivor in a finale that lacked drama or controversy. It was, as the season has been pretty much since the fourth episode, a coronation of Boston Rob. It’s really the finale already? Sure doesn’t seem like it, does it, what with the eight castaways still having a chance and only a single big move made all season, way back in the third episode, right? 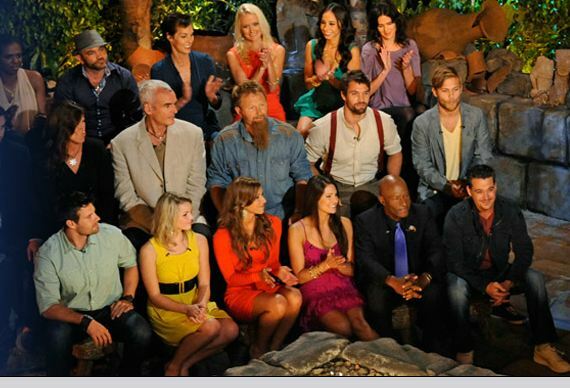 It’s nigh impossible to judge this 22nd season of Survivor and its concomitant introduction of Redemption Island now, on the day of the finale episode, since so much about the season has yet to be defined. This is true to an extent of every season, but how Redemption Island plays out in tonight’s finale will go a long way toward determining how this season is remembered. If one of the four remaining castaways on Redemption — Matt, Mike, Andrea and Grant — comes back to win the game, well, it couldn’t help but cheapen the concept just a little. So it is with more trepidation than usual that I approach this finale, anxious not only that someone I don’t want to win will walk away with $1M, but rather that someone I find overwhelmingly undeserving will.